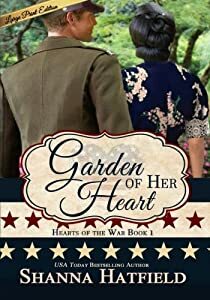 ˃˃˃ Don't miss Garden of Her Heart, Book 1 in the Hearts of the War Series! ˃˃˃ Will Sam choose Laura and embrace the life he always wanted, or will the opportunity for revenge prove irresistible? A Higher Calling is the second book in the AWARD WINNING Sam and Laura series. You won't want to put it down! Princess Teia, daughter of Judah's last king, begins a harrowing journey after she's rescued by the prophet Jeremiah from the burning city of Jerusalem. They flee to Egypt, where amid Teia's efforts to cope with devastating loss comes an awakening of her heart when she meets Eochaid, a foreign prince. The two young nobles fall in love, but are soon forced to part and follow their preordained destines of ruling separate nations. Against the backdrop of daring escapes on land and sea, raging sword battles, and deadly sorcerers, an emotional journey ensues across multiple continents for both Teia and Eochaid. 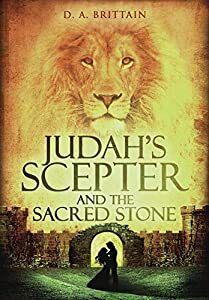 All the while they're unaware that God's steady hand guides their paths as part of his plan to restore Judah's everlasting throne--as symbolized by the sacred stone that Israel's patriarch Jacob once used as a pillow in the wilderness. Can forbidden love blossom amid the constraints of war? The moment the Japanese bombed Pearl Harbor, life shifted for Miko Nishimura. Desperate to reach the Portland Assembly Center for Japanese Americans, she’s kicked off the bus miles from town. Every tick of the clock pushes her closer to becoming a fugitive in the land of her birth. Exhausted, she stumbles to her grandparents’ abandoned farm only to find a dying soldier sprawled across the step. Unable to leave him, she forsakes all else to keep him alive. After crashing his plane in the Battle of the Atlantic, the doctors condemn Captain Rock Laroux to die. Determined to meet his maker beneath a blue sky at his family home, he sneaks out of the hospital. Weary and half out of his mind, he makes it as far as a produce stand he remembers from his youth. Rather than surrender to death, Rock fights a battle of the heart as he falls in love with the beautiful Japanese woman who saves his life. 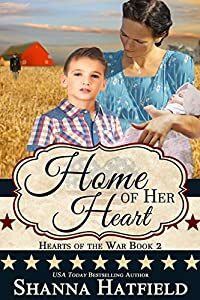 A poignant, sweet romance, Garden of Her Heart proves love can bloom in unlikely places even under the most challenging circumstances. To all outward appearances, Treasure Gilroy experienced the perfect life, full of glitz and glamour. Living in a luxurious Paris apartment and traveling back and forth to London, New York, and Milan, she was the envy of many. None would have guessed that beneath her facade she hungered for acceptance and love from her parents. Memories of them leaving her with her aunt or grandparents for months at a time while disappearing together filled her young mind with grief. Her aunt showed the affection she craved yet to Treasure there remained that gnawing unwanted feeling. This continued as an unspoken emotion over the years. 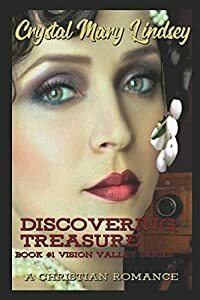 In 1915 Treasure met a young Ella Dittmar on a cold night in London, a strange and mysterious Déjà vu connection ignited between these two, keeping them together. 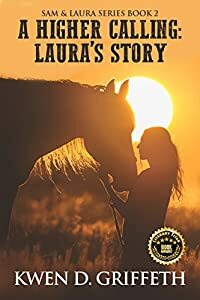 Now with Ella, Treasure traveled back to the beautiful country town of Glen Arbor in Vision Valley to claim an inheritance. Here all her life questions will eventually be answered, and the family secrets divulged. Never could she imagine the depth of reality then discovered. 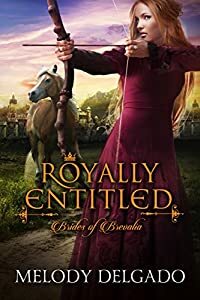 In a world where titles and money mean everything, marriages are arranged for financial gain, and those intended for each other may never meet until the engagement, Crown Prince Valdemar dares to befriend an impoverished farmer’s daughter just as his small nation of Brevalia undergoes a period of crime and unrest. One of his closest friends is furious with his continued attentions toward Anika. Could he be the person behind the crimes or is someone else upset with the royals? What will the leader of the land, Queen Marguerite, think of his fondness for a commoner? And what will become of the two foreign princesses the queen has brought to the castle as potential brides for the prince? Will Prince Valdemar and Anika ever find a way to be together or will they be doomed to marriages of convenience?